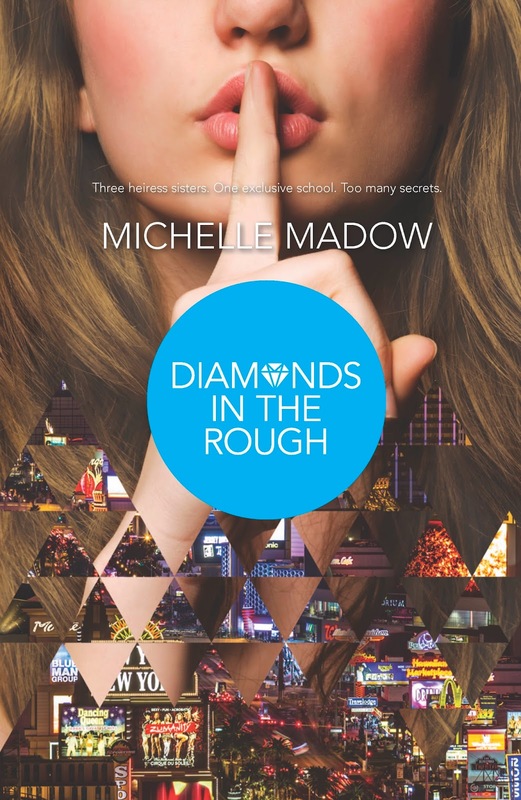 Michelle Madow: Free Book Friday: Diamonds in the Rough!!! Free Book Friday: Diamonds in the Rough!!! Hello to all my wonderful readers! It's time for another fabulous Free Book Friday giveaway! In case you haven't been following the previous three Friday events, I thought it would be exciting to host a series of giveaways this month here on my blog! Today's giveaway will be the last giveaway featuring my books, but don't worry, I'll be continuing to host a giveaway every Friday featuring a title of my choice from one of my favorite authors starting in May, so be sure to check back here on my blog every Friday to see what book I will be giving away! Today's giveaway is a paperback copy of Diamonds in the Rough, book #2 in my The Secret Diamond Sisters series! To enter, fill out the Rafflecopter form provided below and good luck to all of you who enter! The three Diamond sisters survived the summer in style after coming to live with their long-lost billionaire father. But making a place for themselves at their exclusive new Las Vegas private school is throwing them any number of gold-plated curves. Savannah's YouTube stardom turns into a Sweet Sixteen reality show extravaganza—with complimentary enemies on the side. Dangerous flirtations don't keep Peyton from a gamble that will risk far more than she planned to bet. And when Courtney and the sisters' archenemy, Madison, uncover two explosive secrets, it will rock even this town of glittering illusion—and turn their lives upside down all over again. Sisterhood, first crushes, and scandalous secrets explode in book two of Michelle Madow's riveting series, The Secret Diamond Sisters. "Boasting juicier secrets, more extravagant luxury, and higher stakes consequences, Michelle Madow has shown that in her world of decadently sinful Las Vegas nothing is as it seems, and all bets are off." I think this is the best activity to read the book in a particular day chaos of this reader’s mind easily fresh while reading the book. In this book is present new and unique topic because of this to generate the new question relate to the topic so he/she find out that question’s answer on the net where they learn more about the topic what he/she read from the book. And those books which are taught in the university or college that relates life experience degree accredited program in which more new and unique topic that is very useful for the students.